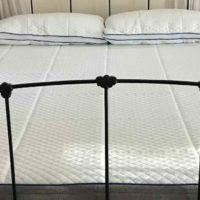 Wright Mattress Review | The 1.27 bed has done everything "Wright". 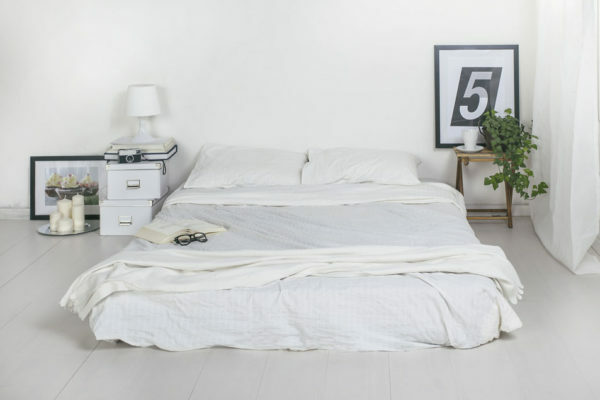 The Wright mattress is a new 11-inch bed that has been in development for quite some time. After testing and retesting, Wright thinks they have created a one of a kind bed. The Wright 1.27 mattress had gone through 27 rounds of testing before it was finally ready for the public. We looked into the Wright bed and were excited by the results. 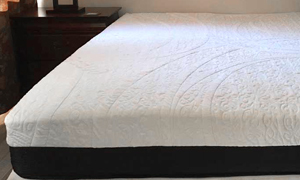 Read our Wright Mattress review and see if this bed is the one for you. The Wright mattress is a firmness level of 6 out of 10 (10 being the firmest). The feel of this bed is soft, yet still supportive. We have found that most mattresses try to hit this medium level of softness. The firmer top is ideal for back sleepers. A medium bed like this can also be good for side sleepers. At Topdown Reviews we find that mattress support is the most important aspect of a bed. Memory foam topped mattresses can often lack enough support. While the top of the Wright mattress is soft, the three high-density foam layers beneath gave great support. The Wright 1.27 mattress was beautifully designed to give a soft, yet supportive sleep. The Wright 1.27 mattress has a 2″ sinkage when laying on it. This level of sinkage is reasonable for a medium firmness mattress. The memory foam top layer reduces movement laterally to your neighbor. Light sleepers will enjoy this mattress if their partner moves a lot at night. The softness does make nocturnal exercise harder, though. The Wright 1.27 mattress does a great job keeping the sleeper cool. It has two middle layers designed to pull the heat down and away. Customers might find a bit of a smell when opening the Wright Mattress box. Leave it to air out for a few hours before sleeping on it and the smell should dissipate. Sleepers shouldn’t be too worried; the Wright foams are CertiPur-US certified. Give the mattress a few hours to air out, and you shouldn’t notice the smell anymore. The Wright mattress is 11″ of memory and high-density foam. Four different layers combine to give the sleeper a comfortable yet supportive night. Let take a look at the inside of the Wright mattress. The Wright has an easily removable cover with reinforced corners. The top has a higher friction coefficient, so your bed sheets will stay in place. 1.5″ of high-density gel infused memory foam provides a soft initial feel. 2″ of heat dispersal foam pulls the heat away from the sleeper to give an airy nights rest. 1.5″ heat-reactive layer absorbs the heat far away from the sleeper. 6″ of high-density foam gives the necessary support for the sleeper. 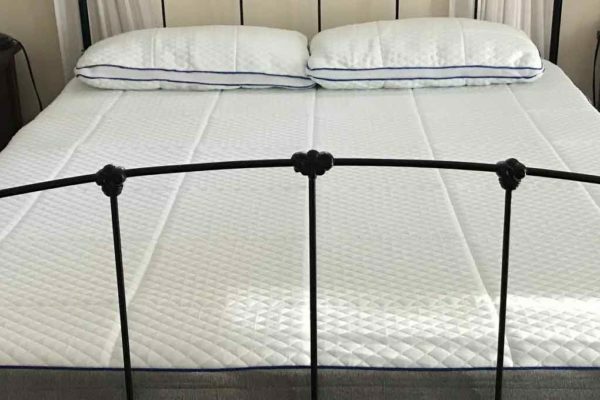 The Wright Mattress is definitely one of the higher priced beds we have reviewed. Some of that cost is made up by the 15 year warranty and 120 night trial period. (Both are some of the longest in the industry.) The rest of the cost comes from their intensive trial period which took over 27 rounds of prototyping. The result is a mattress that all customers agree is amazingly comfortable. 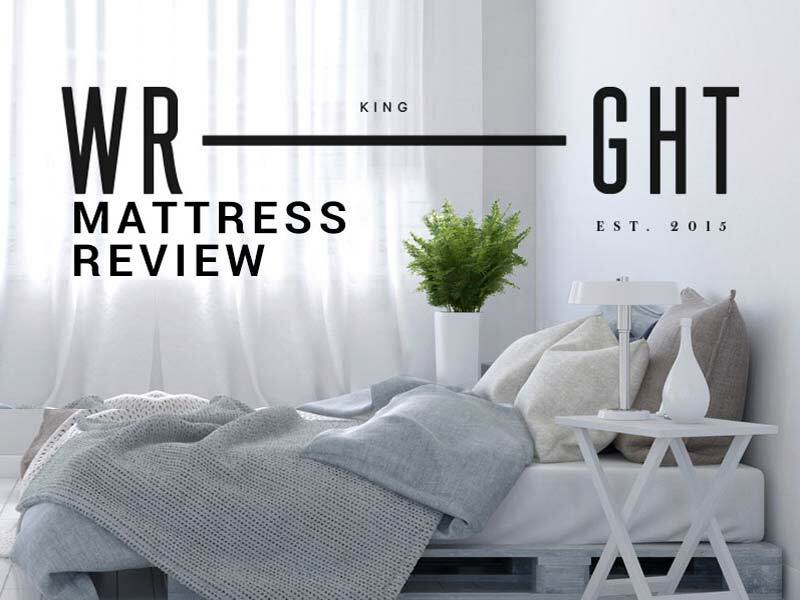 Let us know what you think about the bed in the comments section of our Wright Mattress Review. We have an excellent discount on this mattress for you. 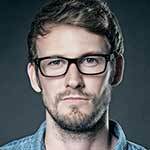 TopDown has worked to get customers $250 Wright promo codes. Before purchasing your bed, click below to use our Wright discount code. The link will take you to Wrights website and apply the coupon at the same time. Who should buy the Wright Bedding Mattress? Customers looking for a long trial period to make sure the bed is right for them. Sleepers looking for a medium firmness bed that won’t hurt their back. Customers willing to spend more money for a good quality mattress.